Amphibian and Reptile Conservation (ARC) Trust have secured the development phase funding for our Heritage Lottery Fund (HLF) project called 'Connecting the Dragons'. If successful, we will start a 4 year delivery phase from June/July 2019. As part of the development we need to undertake a consultation and evaluation, to help us decide where and who we should be working with. Your input is greatly appreciated. 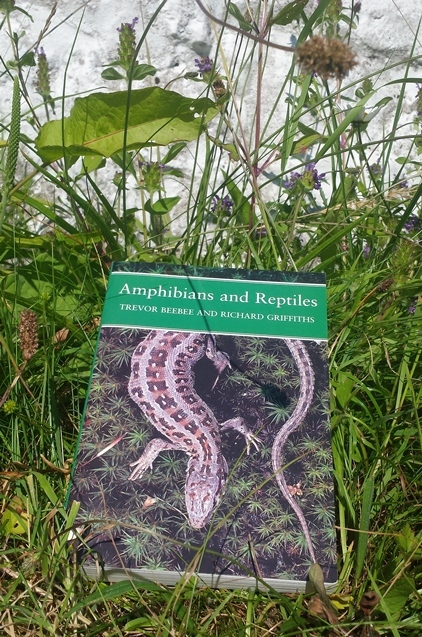 All those who complete the survey will be entered into a prize draw to win a SIGNED paperback copy of the New Naturalist Amphibians and Reptiles (2002). The two authors, Trevor Beebee and Richard Griffiths, are also ARC Trustees and have agreed to sign this copy especially for our project. We are also offering secondary prizes of guided reptile rambles in South Wales!